I am such a fan of updated 70's fashion. 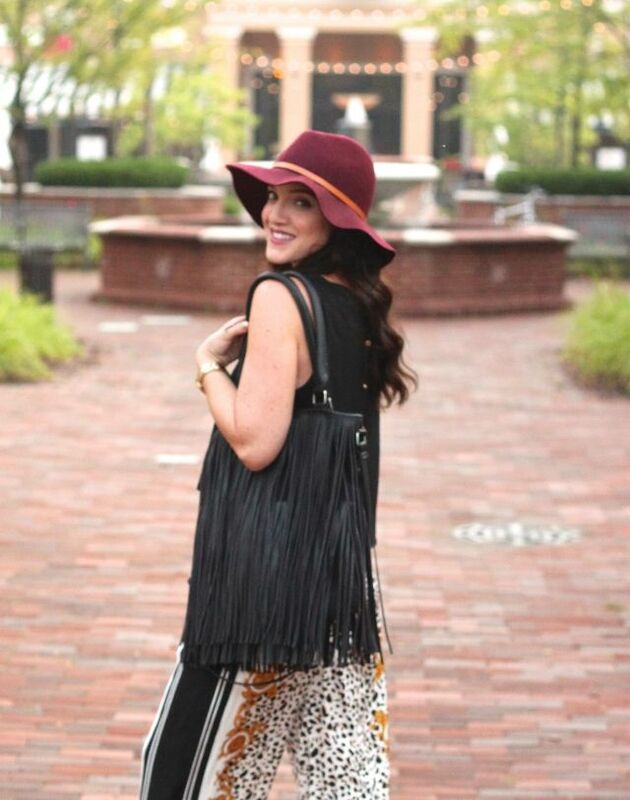 I like to classify the way I styled this boho look as boho chic. I feel like if you are adding great jewelry and 6 inch heels, it just makes it more dressy or chic (for a lack of a better word). 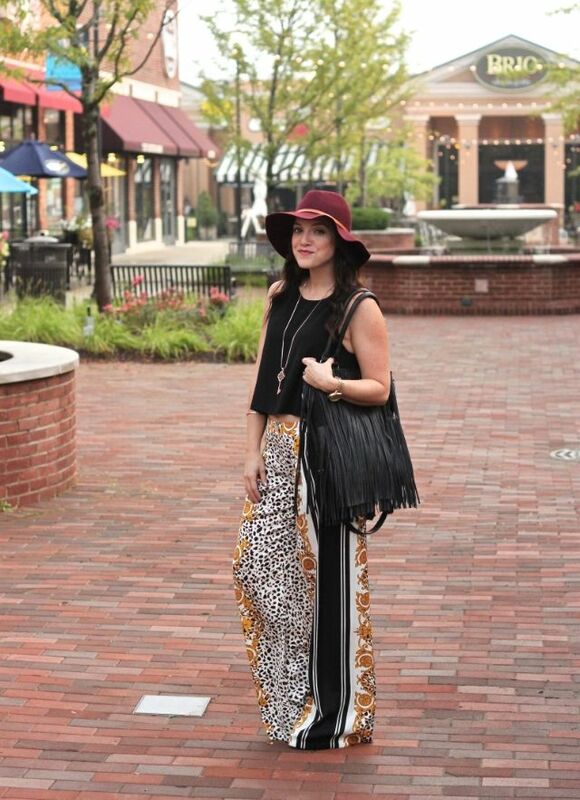 I decided to pair these great wide leg pants with a crop top, fringe bag, and maroon colored hat. To finish the look off I added great gold jewelry and a super high heel. This look was perfect for meeting up with my sister-in-law for a sushi dinner date. Honestly, this outfit just made me feel like dancing. 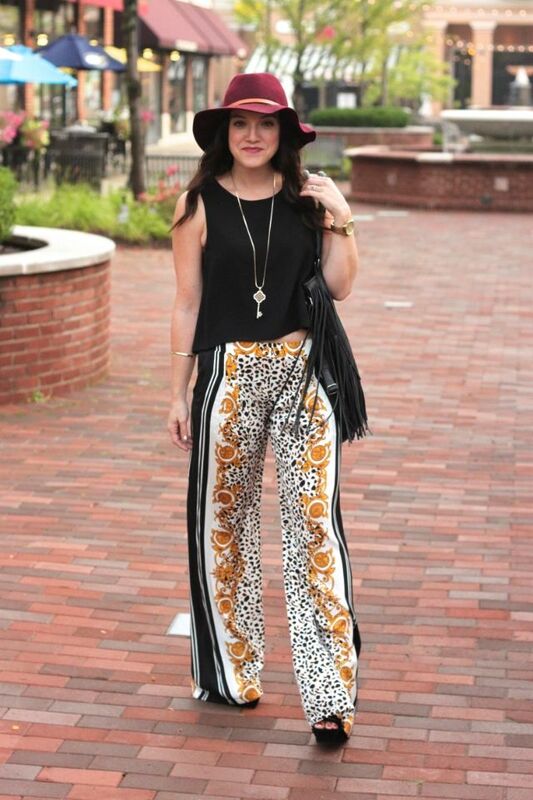 The wide let pants are super breezy and the crop top made the look feel perfect for summer. What do you think of this pairing? 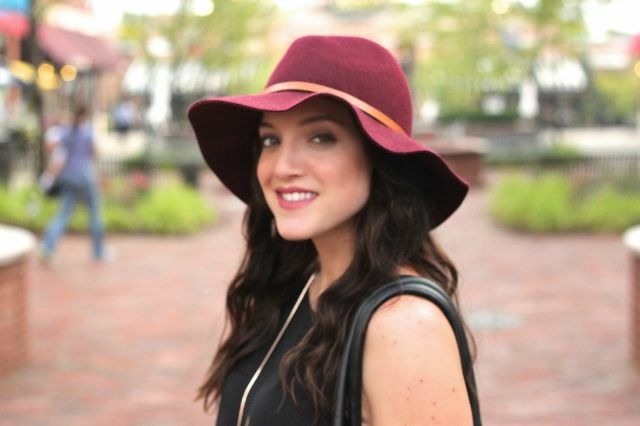 Do you enjoy making some of your boho looks more chic and less full on retro?